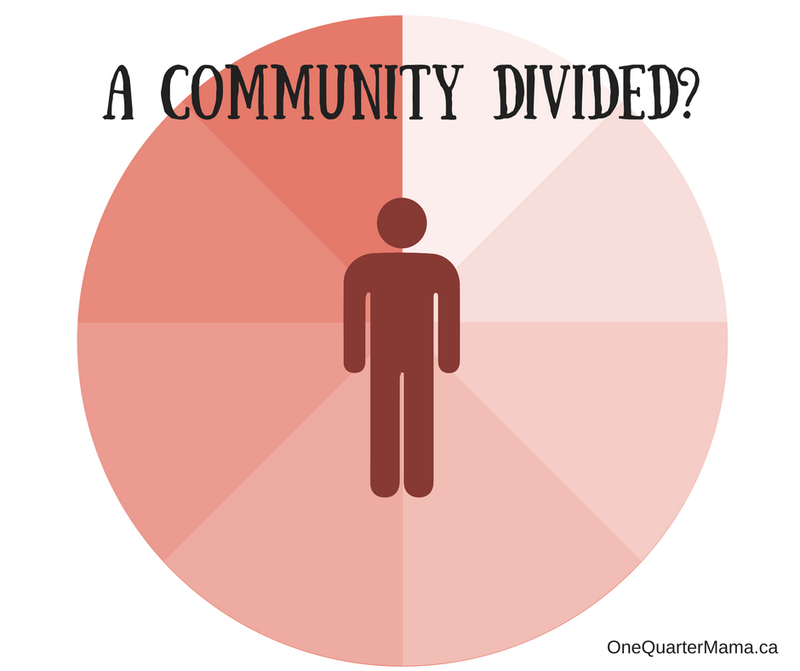 Image of a man icon on a circular gradient chart with sections of varying shades of pink, with black text which says "a community divided?" If you speak to a lot of parents of autistic people, you'll hear many excuses for why they don't listen to us as authorities of the autistic experience. 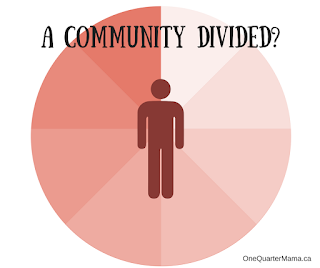 Aside from the whole, "you're not like my child" (well no, we've grown up), I'd say the most common way to try to discredit us is by saying our community is divided. And I'm going to jump in here as someone who's very active in the community and say NO. That is not the case. If you choose to believe that, you're just making excuses. If anything, you are the one creating a divide by not listening to the many of us who are speaking. It's also amazing to me how much energy many would rather spend trying to come up with excuses for not listening to us rather than just listening to us. Do we argue amongst ourselves at times? Yes, we're human. Do we get very passionate in our debates? For sure! We are logical beings. We have feelings and emotions. We have a distinct need to be heard. Do we disagree on language? Sure, while most people prefer the term autistic, some people prefer to be called people with autism. No biggie. These are not major devisive issues. By and large, do we agree that ABA is abusive? YES. Do we have issues with Autism $peaks? Many of us do. Do we want to be cured? Nope. Do we believe in neurodiversity? Yes! When it comes to big and important issues, we're much more cohesive and in agreement than many might think! I see it as no different than the Deaf community - there are many for sign language and there are some for cochlear impacts and verbal communication. There's a whole overlap within there, but they are still a distinct culture. Do we discredit the needs of Deaf people simply because there is more than one way to be deaf or hard of hearing? Look, the fact is, people can pick and choose what they want to hear and what advice they want to take, but do not discredit us as a whole, or tell us you just don't know who to listen to because you've heard more than two opinions. Get more opinions and listen to the majority - even if it's not what you want to hear.